Limited offer: Free 3D printed prototype when you let BWC Group quote for your extrusion project. Please note this service is only available for businesses who are developing products for extrusion. For a limited time our 3d printed rapid protoypes are free of charge, subject to us being given the opportunity to quote for the eventual supply of your extrusion. How do you order a 3D printed prototype? Fill out the form to the right and send us your sketches or any CAD models. Once we have recieved your design, a member of our team will be in touch to find out a little more about your project, as well as discuss your extrusion needs. We will then put you in touch with our technical team who will be able to help you take your idea forward from napkin sketch to tangible sample in no time. After the design is finalised and it's ready to print, you can expect your sample to be with you within the next couple of days. 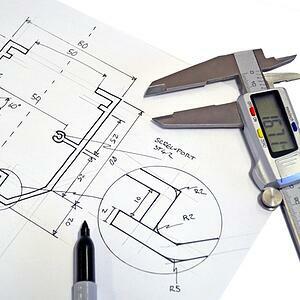 Whether you have a doodle or sketch, we can provide design assistance to get your drawing finalised & ready for print. The most popular formats are DWG & DXF files however we also accept PDF files that we can recreate to a 3D file within a day. We're able to offer a faster turnaround when you provide a 3D file for us to work with. We support all major CAD packages. This service is only available for businesses who are developing products for extrusion that require a 3d printed prototype of their product. In order to receive a free 3d printed prototype you must agree to let BWC Group quote for the supply of your finished product. For more information on this service, contact our team here. What are the turnaround times for 3D printed prototypes? Typically a few days, dependent on how much of the design work you have completed. If you are in the early stages of design and perhaps just have some rough sketches it could take us a little longer for us to help you finalise the design, set up the working CAD file, print the prototypes and post them to you. 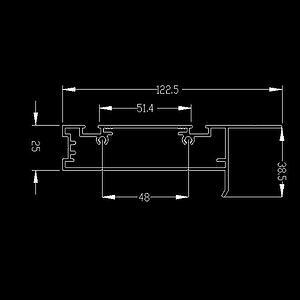 You can send us AutoCAD, SolidWorks or FreeCAD files. 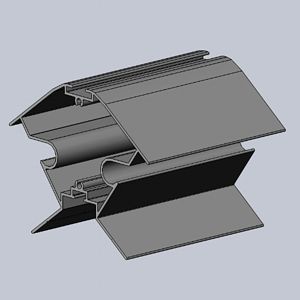 Other generic formats include STL, DWG, DXF or just a simple PDF or JPEG sketch. If you have already completed some of these steps yourself you can expect that we will be able to turn around your samples much sooner. Contact a member of our design team for more information. How detailed will the 3D printed prototype be? Worried your design may be a little too complicated? Don't be. 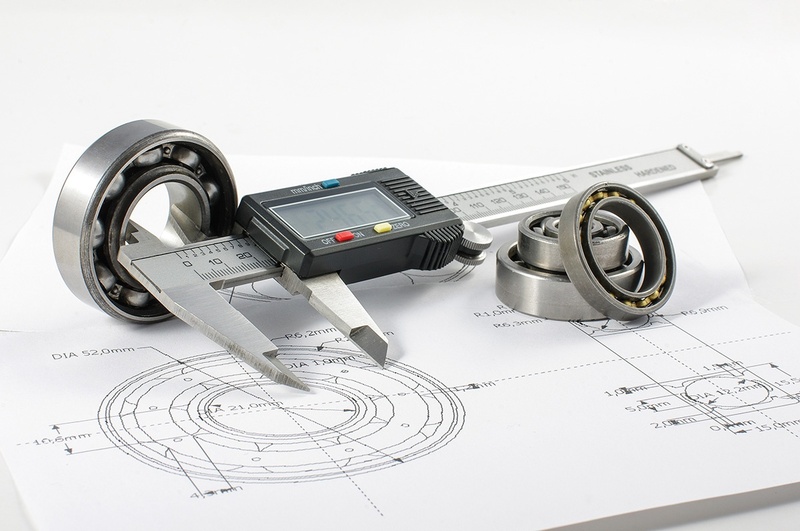 We are confident that no matter how complex your design, we will be able to devise a strategy to prototype it. Our 3D printing facilities allows for a layer resolution as low as 0.1mm thickness per layer with a dimensional accuracy around 0.2 - 0.02 microns. This gives an overall accuracy and level of detail suitable for most requirements. 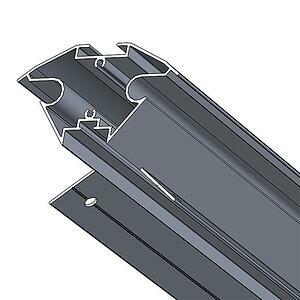 We can print extrusion prototypes with fabrication details such as any holes, miters, slots, threading etc. your sample might require. This will enable to check with or bond to other components in your product. Simply provide us with a sketch of your design and our in-house team will re-create your design using the latest in industry-leading drawing software. 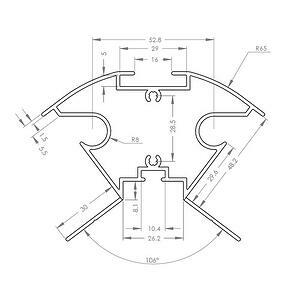 Using a CAD drawing, our designers can digitally extrude your profile into a 3D model, we then prepare your file as a .OBJ, .3gx or .THING file for printing. 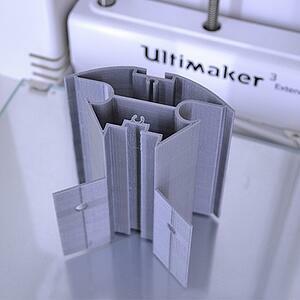 We can print in 2 colours for showing mating parts, tear out strips or thermal breaks. We can also build in fabrication details such as holes, slots, miters etc.